Drain lining technology from Lanes Group plc is being used to rehabilitate highway drains while helping hard-pressed maintenance budgets stretch further. Highway chiefs are switching from excavating and replacing defective drains to lining them because the no-dig approach is proving safer and less costly. Effective maintenance of roadside drainage is a key priority for highway authorities to reduce the risk of flash flooding which can contribute to accidents and traffic disruption. Working with one highway authority in South West England, Lanes Group’s sewer rehabilitation and lining division has, to date, completed schemes to line defective drains at four different locations. Partnership working, with Lanes teams scoping high-risk sections of roads to allow the highway authority to make informed choices on maintenance approaches, has been key to the project’s success. Melvyn Newman, the local authority’s site manager for highway maintenance, said: “Lining surface water drains is proving to be a very useful approach to highway maintenance. “It’s especially helpful where drains are co-located with other services, such as gas and water mains and fibre-optic cabling. “In these cases, excavation is more complicated to plan and carry out, adding to the costs and the time taken to tackle potentially-serious localised flooding problems. “Where these issues arise, lining highway drains is proving to be significantly less expensive than excavation and can be carried out in days, rather than several weeks. Lanes has combined lining with the use of advanced remote access cutting technology to remove tree roots which had infested the drains, preventing the free-flow of water. Pipes lined have ranged in diameter from 225mm to 450mm. The longest liner installed so far has been 160 metres. 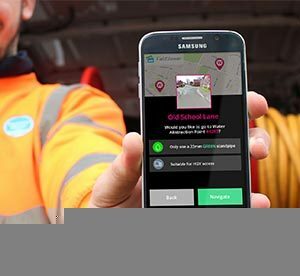 Simon Bull, Lanes Group’s Sewer Rehabilitation and Lining Manager, said: “We have installed several liners in one village. Conventional excavation would have caused serious disruption for residents over weeks. In one case, 60% of the volume of a 225mm-diameter clay pipe was filled with roots along its length. These were removed using Lanes’ powerful ProKASRO electric robotic cutter, which can operate up to 110 metres from the entry manhole, allowing the pipe to then be lined. Two lining techniques were used – hot cure lining and ultraviolet (UV) lining – to take account of differing layouts of each pipe. Hot cured in place pipe (CIPP) liners are flexible tubes of resin-impregnated needle felt which are inverted into defective pipes using water. The water, fed into the liner from height, presses the liner tight to the host pipe. The water is then heated to nearly 90 degrees Centigrade to cure, or harden, the resin. With UV CIPP lining, compressed air is used to inflate the liner and UV light emitted from a UV light train pulled through the pipe is used to cure chemical catalysts in the liner. Lateral pipe connections are then reopened using the robotic cutter, creating a new pipe within a pipe which has a design life of up to 50 years. Hot CIPP lining can be used where drains curve and change direction along their run. However, the water used in the process needs to be disposed of at an authorised site because it has a taint from the resin. UV CIPP lining can be used where there are straight runs between manholes. It uses less equipment, takes less time to complete, and does not create wastewater that needs authorised disposal. 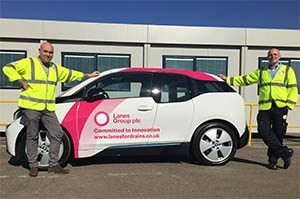 Drainage engineers from Lanes Group plc have helped a water company survey and upgrade the wastewater network across a former RAF base that is being transformed into a ‘garden village’. A team from the drainage specialist’s St Neots depot was commissioned by Icosa Water to carry out an extensive programme of investigation, repair, and rehabilitation work at the old RAF Raynham airbase. The 158-acre site, five miles south of Fakenham, in Norfolk, has become a flourishing rural community, with 170 homes and 20 businesses, since the RAF closed the airbase in 1994. Icosa Water, an independent regulated water company, has been commissioned by the landowners to manage the clean water and wastewater networks across the site, which is earmarked for more homes. 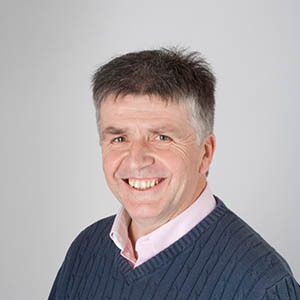 David Palmer, Icosa’s Wastewater Manager, said: “We wanted to get a full understanding of the extent and condition of the whole wastewater network, and carry out any works needed to ensure it was of a serviceable quality. “The Lanes team members have been very efficient and effective in the way they have gone about their work. They’ve liaised well with our customers and two-way communication with us has been excellent. Installing 38 cure in place pipe (CIPP) structural liners, also known as patch liners, to renew pipes that had cracks, dislodged joints, or were partially-collapsed. A key element of the project was the surveying and renovation of 480 metres of drainage lines across fields. Arrangements were made with the landowner to do the work after the wheat harvest had been cut. Over time, eight manhole chambers on the land had become buried. The Lanes teams used a CCTV camera fitted with a sonde transmitter to locate the chambers, and uncover them. A tracked remote access jet vac reel was used to clean and survey the pipes between each manhole. Several CIPP structural liners were installed to renovate the pipe. This involved placing a resin-impregnated glass-fibre sleeve – one metre to two metres in length – inside the damaged pipe, inflating it, then waiting the resin to cure, or harden, creating a new pipe-within-a-pipe. Jonathan Chase, Area Development Manager at St Neots, said: “We’re pleased to have had the chance to support Icosa Water implement its management strategy for West Raynham. RAF West Raynham opened as a base for Bomber Command at the start of World War Two. The hangars have now been turned into a business park, and new amenities, including a pub, a shop, and a children’s nursery have been opened. Its owners have also submitted a planning application to build 94 ‘infill’ homes across the site. The drainage system at one of Sheffield’s most iconic buildings has been rehabilitated with an extensive programme of remote structural repairs. Sheffield City Council commissioned Lanes Group plc to carry out the planned drain maintenance work at the Grade I Listed Sheffield Town Hall. Drainage engineers from the Lanes Sheffield depot have installed 64 structural liners in pipes beneath the 120-year-old civic building in the centre of the city. 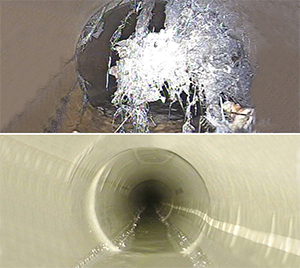 The cure in place pipelining (CIPP) technique, often referred to as patch lining, allows drainage systems to be renewed without the need for extensive excavations. The patch lining programme has involved Lanes drainage teams working both inside and outside the building, late in the evening and at night to avoid inconvenience for its users and the general public. Lanes, the UK’s largest independent drainage specialist, has extensive experience of surveying, repairing, and rehabilitating the drainage systems of historical buildings like Sheffield Town Hall. David Cheesman, Area Development Manager for the Lanes Sheffield depot, said: “This was one of the largest number of patch liners installed in one go by our depot. 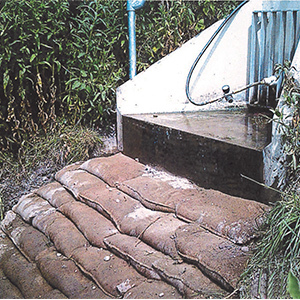 “The process is a highly effective way to rehabilitate drains. A patch liner extends the life of the section of pipe it’s installed in by up to 25 years. Effectively, it’s the equivalent of a new pipe. “Many of the sections of pipe we were renewing under the town hall were in such hard-to-reach places that this no-dig drain repair solution was the only realistic option. 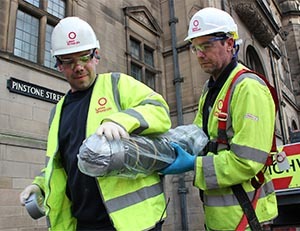 The work at Sheffield Town Hall was carried out by a three-person team, led by CCTV drainage survey engineer Scott Sorsby. He said: “The work has gone very smoothly, despite the size of the project. We installed up to six patch liners a night, most of them a metre long. “In some cases, we installed up to five liners sequentially, with each liner overlapping the other, to rehabilitate a longer section of pipe. And in one case we had to traverse the liner 30 metres along the pipe to where it needed to be placed. Sheffield Town Hall, built over a seven-year period from 1890 to 1897, is the venue for most official meetings, and many civic events, held by Sheffield City Council. It was designed by architect Edward William Mountford, who went on to design the Old Bailey law courts in London. The need to rehabilitate the town hall’s drainage system, made up mainly of 150mm-diametre clay pipes, was established by a CCTV drainage survey, also carried out by Lanes Group. Patch lining is one of a range of CIPP techniques used to rehabilitate sewers and drains. A flexible glass-reinforced matting liner impregnated with resin is inserted into the pipe, where the resin cures, creating a durable pipe-within-a-pipe. With CIPP drain rehabilitation, the resin can cure in ambient temperature, as was done with this point lining programme. Or the curing process can be accelerated with hot water or ultra-violet light. Lanes Group plc has won a contract to provide facilities maintenance services for the London Underground. The five-year contract, with an option for a three-year extension, is the third maintenance contract awarded by Transport for London (TfL) to Lanes Group in four months. Lanes Group plc has is won a RoSPA Gold Health and Safety Award for the 8th year in a row. The achievement means the UK’s largest independent drainage and wastewater maintenance specialist retains its RoSPA Gold Medal, awarded for achieving multiple consecutive RoSPA Gold Awards. Lanes Group Director Andy Brierley has won a national award that recognises people who have made an outstanding contribution to the water utility industry. 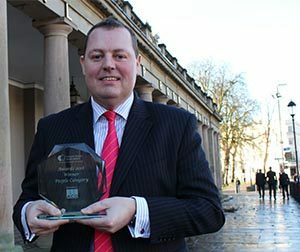 He was presented with the Future Water Association People Award at an annual award lunch held in Leamington Spa, Warwickshire, on Thursday 23 February. AQS Environmental Solutions has won a Fleet Transport Award for its work to develop sustainable systems for transporting and managing waste. It was named the winner in the Environment category, which recognises companies that show excellence in developing responsible and innovative strategies and processes in fleet transport management. 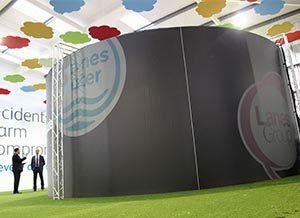 AQS Environmental Solutions, one of Ireland’s leading drainage and wastewater utility specialists, has its headquarters in Thurles, Tipperary, with bases also in Limerick and Cork. Its services are used extensively in the agriculture, food and drink, manufacturing, facilities management, construction and utilities industries. Stan O’Reilly, Commercial Director for AQS Environmental Solutions, said: “This is a great moment for us. We are very pleased to be recognised for our continuing efforts to develop environmentally-sustainable services. The annual Fleet Transport Awards, celebrating their 10th anniversary, are organised by Fleet Transport Magazine, Ireland’s leading commercial vehicle fleet management magazine. RTE radio & TV personality Marty Whelan presented the awards, while Verona Murphy, President of the Irish Road Haulage Association, was guest speaker at the event attended by 850 representatives from the transport industry. AQS Environmental Solutions delivers a range of services for industrial, commercial and domestic customers. It also operates a waste processing plant which diverts 40,000 tonnes of waste a year away from landfill, turning it, instead, into compost that is used by farmers within a 20km radius of Thurles. The composting plant offsets the carbon emissions of our transport fleet and processes the waste locally, which reduces fuel consumption still further. It contributes to reducing emissions of landfill methane, and creates a useful by-product for the local farming community. This, in turn, reduces their need to bring in fertilising products from out-of-area, creating a second cycle of environmental benefits. AQS Environmental Solutions has invested €2 million in the last two years in the most fuel-efficient trucks, vans and supporting equipment, all of which reduce pollution and carbon emissions. 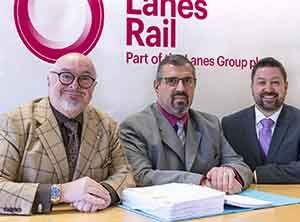 The company is now part of Lanes Group plc, the UK’s largest drainage and asset maintenance specialist. This is allowing it to invest in Europe’s most advanced drainage technology, including recycler jet vac tankers. These significantly reduce consumption of water and fuel during drain cleaning and unblocking operations. The latest example has been the acquisition of a new €400,000 JHL SuperFlex machine. It has a split tank, allowing water to be filtered and reused multiple times. Waste sludge is then processed in the composting plant. 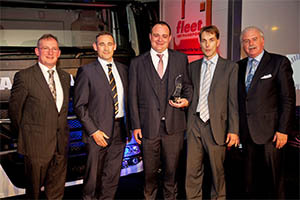 The Fleet Transport Award was presented during a ceremony at the Citywest Hotel, Dublin, on Thursday 13 October.